There. I said it. And not just any pajamas.. cute, color-coordinating pajamas. Over time I’ll probably post numerous pictures of myself in whatever new pajamas sets I acquire. They make me feel cute. Attractive. Pretty. Any of those similar adjectives. In today’s world a girl should do whatever makes her feel this way. What makes her feel good. 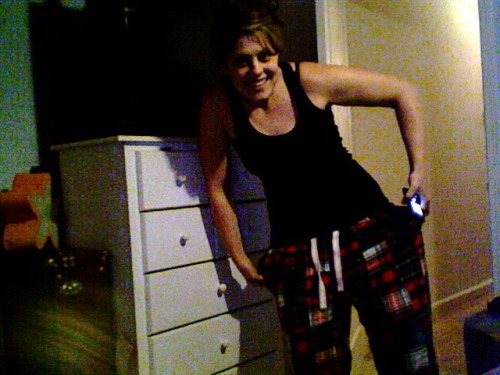 So send me a picture of you in your pajamas or blog it and I’ll repost it.